Notes, worksheets and quizzes to support GCSE Chemistry. At the moment, I have placed existing worksheets in the appropriate area. New worksheets and content will be published over the next few months. They will include model answers where appropriate. Commercial copying, hiring, lending is prohibited. Permission is granted to reproduce for personal and educational use only. For example, you can download, copy and use the worksheets at home, school or in college; but you may not sell them or present them as your own work. GCSEs are the main qualification taken by students aged 15 to 16 in England, Wales and Northern Ireland. 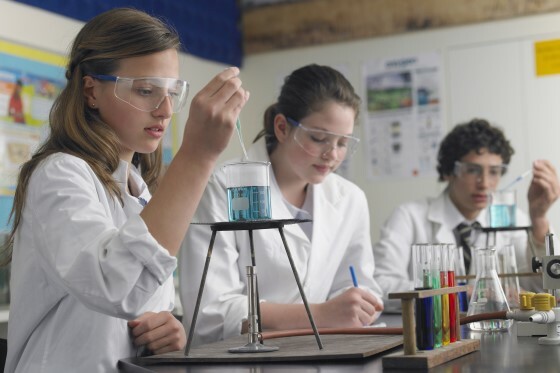 Science and Chemistry GCSEs are designed as two-year courses, assessed by written examinations at the end of the course. Scottish National courses have similar content. GCSEs are graded from 9 to 1 (grade 9 is the highest) in England, and from A* to G in Wales and Northern Ireland. As part of the National Curriculum, the Department for Education publishes Science programmes of study showing the content that must be covered. The examination boards base their specifications on this content, with some differences in approach and with varying additional content.